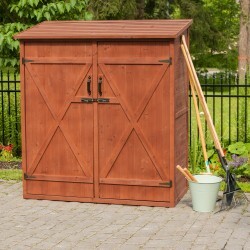 Shop Leisure Season brand sheds for high quality wood shed kits and trash can storage options. Leisure Season offers great looking wood garden sheds for smaller applications. They also have a line of containers to keep your unsightly trash bins and recycle cans stored out of sight and away from pests. Free Shipping on all orders! 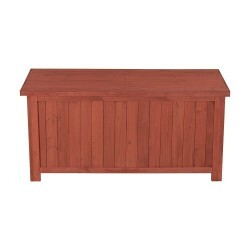 This deck storage box can store all of your swimming supplies, toys, magazines and many more. Call us now at 877-307-4337 for more details. FREE Fast Shipping! 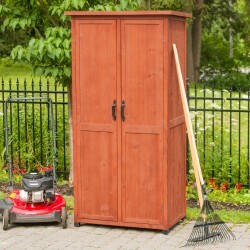 This Vertical Storage Shed will help you organize your lawn and garden tools. 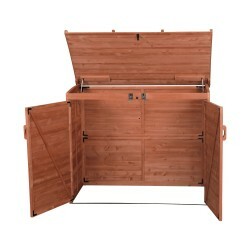 It is made of solid wood harvested from the Cypress tree family, giving this shed a UV, Weather and Decay resistant. Call us now at 877-307-4337 for more details. FREE Fast Shipping! 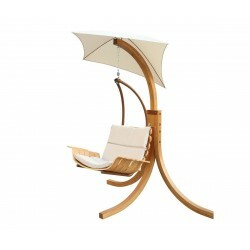 Our swing chair with umbrella lets you fall back in love with your deck or backyard and savor your favorite season(s). Use to wake up a sleeping garden or to invite tranquility to a busy day.FREE Fast Shipping! 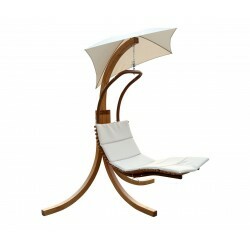 Imagine a hammock and lounge chair combined! Oh yes, we did and came up with a design inspired by the way down-to-earth people relax. We guarantee you’ll feel relaxed from the back of your neck, right down to your toe-tops.FREE Fast Shipping! Are you looking for a container to store your trash and recycling bins? This storage shed is the one that you're looking for. For more details on this, call us now at 877-307-4337. FREE Fast Shipping! Are you looking for a more larger container to store your trash and recycling bins? This large horizontal storage shed from Leisure Season is the one that you're looking for. For more details on this, call us now at 877-307-4337. FREE Fast Shipping! Looking for a stock room for your lawn and garden materials? 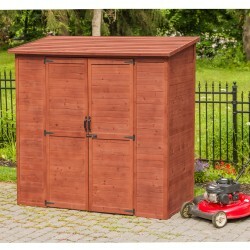 This Medium Storage Shed will help you organize your tools in a safely and comfortable manner. FREE Fast Shipping! Make your patio much more useful. 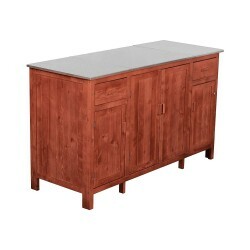 This buffet server with cooler compartment features a wide counter space that stands up to high heat and spills.FREE Fast Shipping! When life is full of swing, you want to maximize your down time. 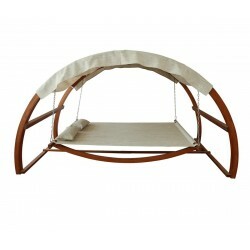 This swing bed with canopy lets you relax all day and if you desire, through the night. FREE Fast Shipping! Solve your storage problems. 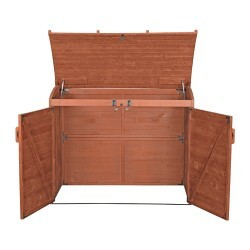 This extra large storage shed keeps items safe, dry and clean. Has a large area to store your lawn equipment and furnishings, power tools and sporting gear, and any yard decor. FREE Fast Shipping!